My source of inspiration is just about anything vintage. 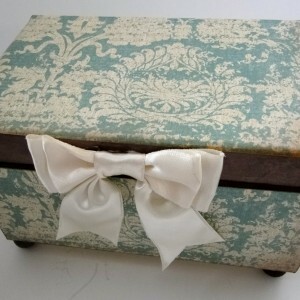 I love looking on stores that sell vintage items to get an idea for a new box. I am also inspired by a lot of music. I craft with my iPhone or Pandora playing, and sometimes I just craft based on whatever comes to mind with the music. I'm studying to get my Ph.D. in Psychology. I am a huge baseball fan. Even my beagle puppy is named after an MLB pitcher! I usually have my iPhone tuned to Dashboard Confessional (on repeat). I have a tattoo of a sparrow on each hip that I got in honor of my grandmother, who used to call me "her little sparrow". 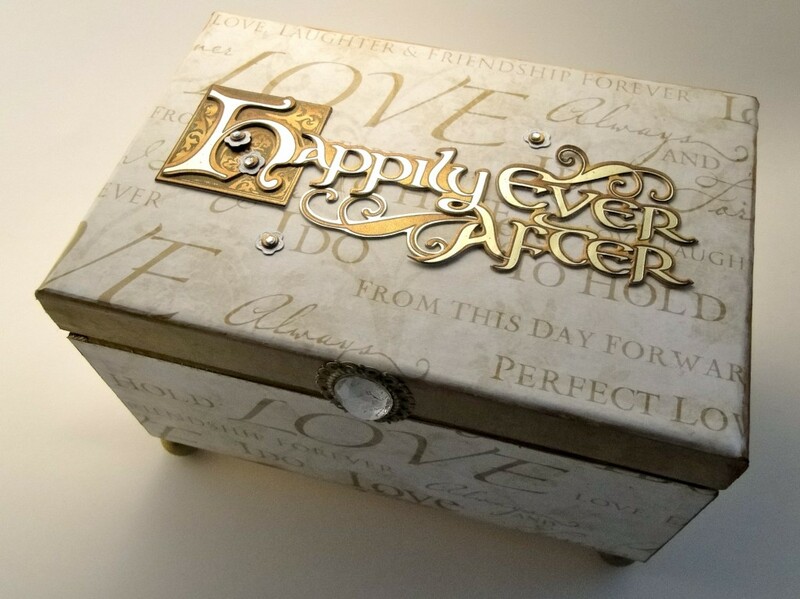 I recently made a Happily Ever After themed keepsake box/wedding guest book alternative. When I make my boxes, I start off with high quality unfinished wood. 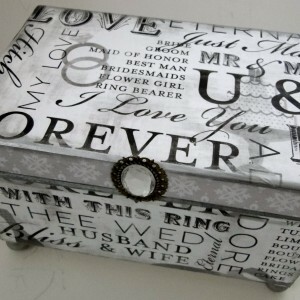 I then used some very pretty scrapbook paper and words to create the overall look of the box. 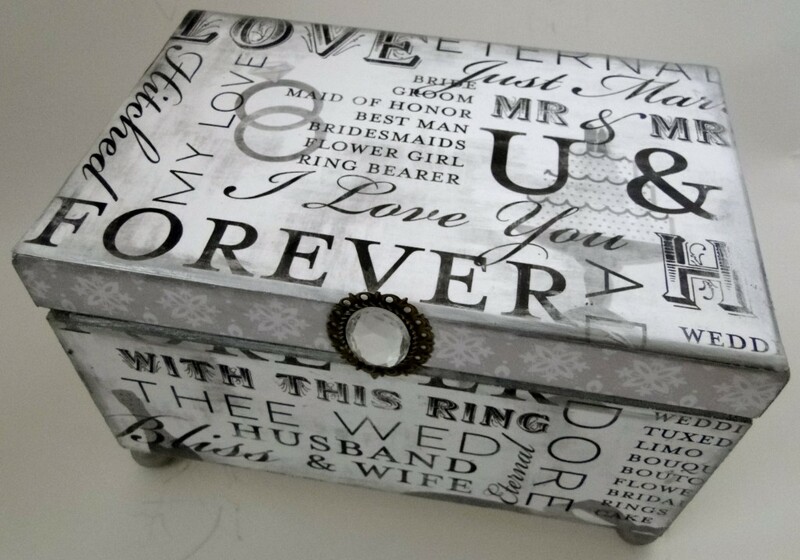 When I am make them, I offer several customizations such as picking out the color of the box's gemstone and I can even put the names of the bride and groom onto the box. Even though I remake these boxes more than once, no two boxes look the same. Everyone wants something at their wedding that sets it apart from all of the other weddings in the world. 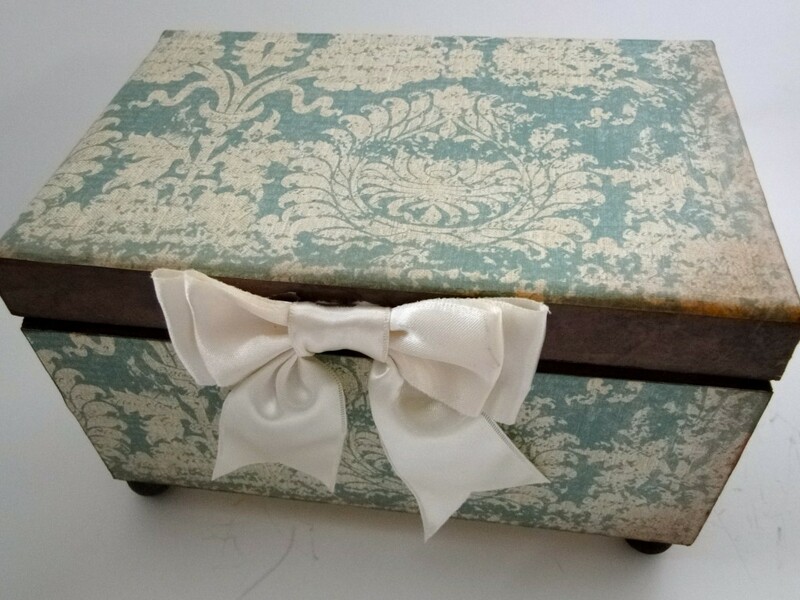 Having a custom created and handmade wedding guest book box, not only makes the way they are utilizing a guest book unique, but gives the bride and groom something they can reuse to hold wedding keepsakes in.